Smiley's Heating & Cooling, Inc.
Tony's Quality Air Care, Inc. Comment: Would like an annual check-up/ tune-up. Comment: The unit sounds like it is cycling on and off, the fan is running continuously. Comment: Outside condensing unit on air-conditioner not running. Comment: Central Air is not running. Comment: I had two technicians come out to look at my unit located at Chesapeake Square Mall. They both explained that I need a leak test done on the unit. They also stated that part of my unit is working. I have two circuits and circuit 2 is completely empty of fluid which is suggesting the potential leak. Circuit 1 is a little low in fluid. At this point I just need the unit to be fixed to start working. It is blowing out just air that is causing the store to be hot. Jeffco Heating and Air Conditioning, Inc.
T. E. Young Heating and Cooling Inc.
Interstate Building & Mechanical Corp.
Chesapeake HVAC & Air Conditioning Contractors are rated 4.78 out of 5 based on 2,082 reviews of 33 pros. 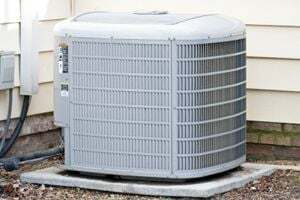 Not Looking for Air Conditioning Contractors in Chesapeake, VA?